For the meeting on April 10, 2019, we'll be hosting open performances by our members with critique and conducting teach-in sessions. 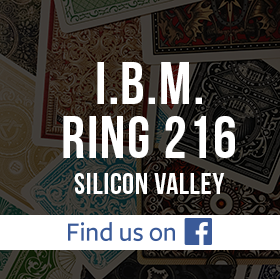 First, you'll have a chance to learn a mathematical card trick from Gary Goldberg. And Cal Tong will teach a coin routine you can perform for friends and family. Then, we invite you to show us your stuff: You can perform a routine, sleight, or presentation and get valuable feedback from other members. This is the perfect way to get help and ideas from your fellow magicians in a low-stress environment. To make it as useful as possible, we're going to have a short presentation on how to give and receive feedback. For whatever time remaining, we'll have casual time to catch up and re-connect with your friends, learn something new, and enjoy some fun magic.